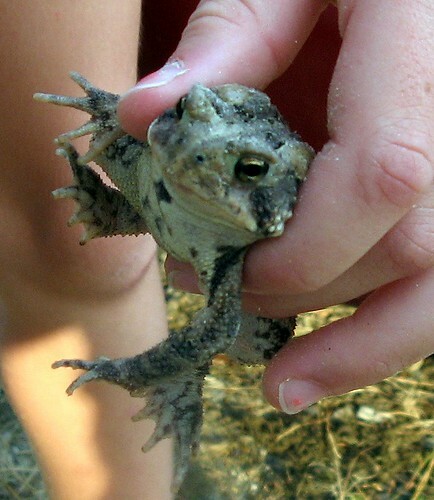 toad, originally uploaded by jahansell. This guy lives in Lakeville, in the parking lot at Space. We found him there a few weeks ago but I just downloaded the photos. Where do they go during the winter, I wonder? Just catching up with all the photos I've missed; a wonderful selection...congratulations to your daughter on scoring the goal! I've not seen any toads in my garden though plenty of frogs....I think they hibernate in the pond or under leaf litter and logs.